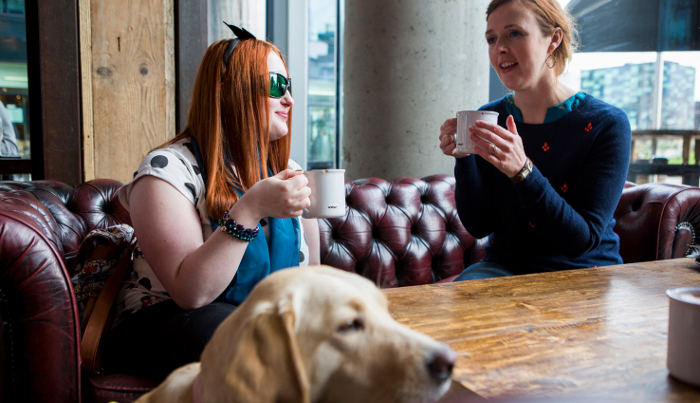 We understand that, as a business, you may have questions about taking on someone with sight loss, or about an existing employee who is losing their sight. A blind or partially sighted person can be as much of an asset to your organisation as any other employee. There are simple steps you can take to ensure you achieve success as an employer. 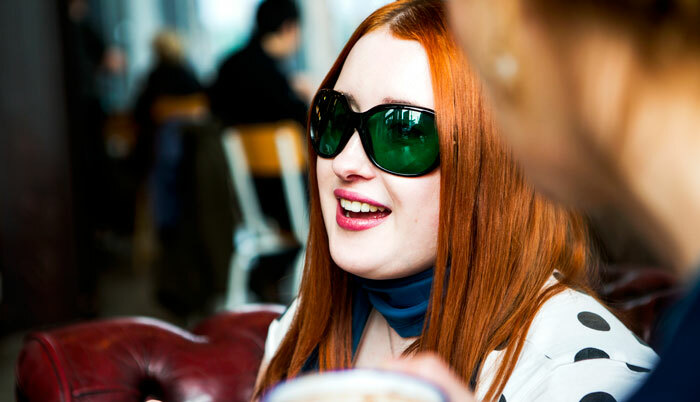 Our guide to employing someone with sight loss has been designed to address those questions and to set out the benefits of employing a blind or partially sighted person. 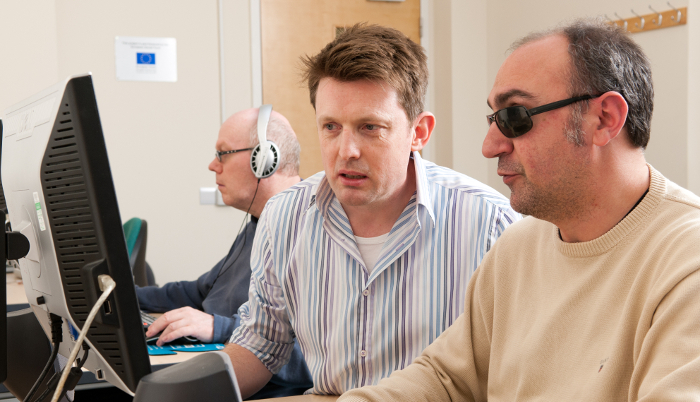 It covers everything you need to know about employing someone with sight loss, from the recruitment and interview process, to making sure an employee has the right equipment in place to be successful in their role and progress their career. Afshan Nawaz heads up a small London law firm employing six people. The firm recently took on Joanne who is registered blind. She is completely blind in her right eye and has limited vision in her left eye. "Joanne's ambition and work ethic is something to be admired. I think it's all too easy for employers to focus on what a person with a disability can't do, rather than all the things people like Joanne can do." "We haven't incurred any additional costs due to employing Joanne and the Access to Work scheme has been really efficient; recommending and funding different pieces of equipment that will help Joanne at work. "Joanne's sight loss hasn't stopped her from any of her day-to-day duties, including interviewing new clients, making applications to the Home Office and issuing judicial review applications in the high court. 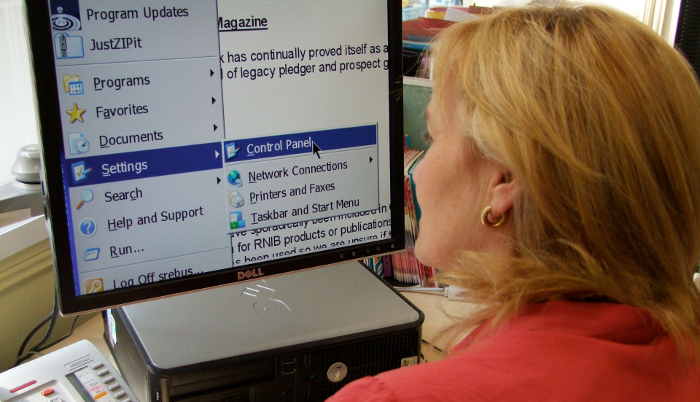 "Joanne has been able to complete all her work with just a few extra pieces of equipment, including a larger computer screen with the resolution set to maximum and a portable magnifier for reading small print documents." 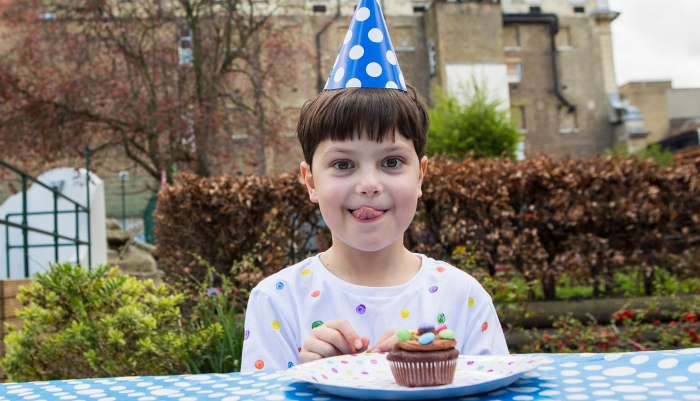 Read our top 10 tips of the best ways to communicate with a blind or partially sighted person. 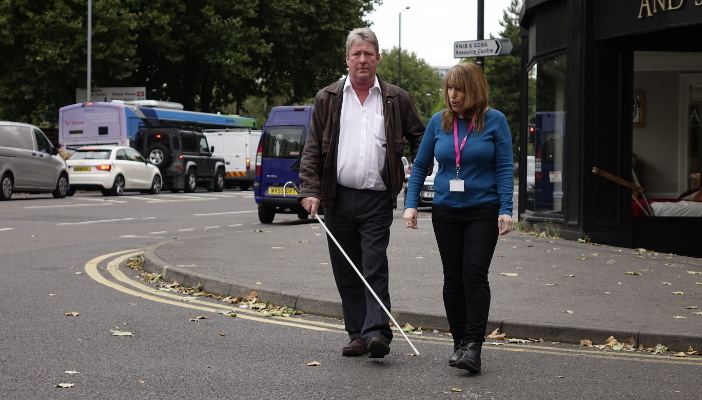 Find out how to guide a blind or partially sighted person in the most helpful way. 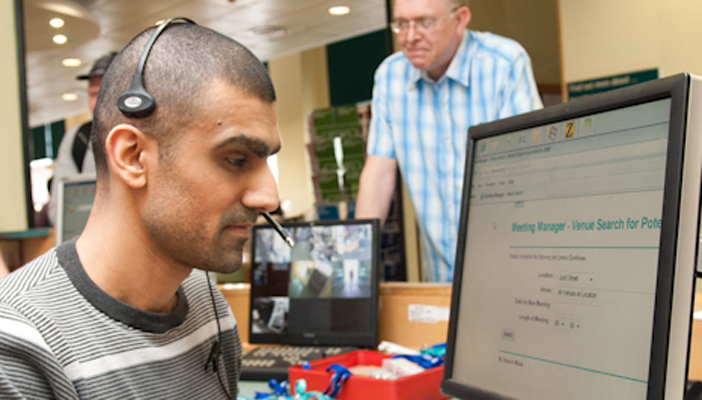 Find out all the different ways the RNIB Helpline can support you by calling 0303 123 9999 or emailing [email protected]. If you've been diagnosed with an eye condition, our eye health guides provide comprehensive information.